Thank you to everyone who submitted entries to the StartupEmpire giveaway. The quality of the writing and thinking was excellent and it was inspirational hearing so many people wanting to further their entrepreneurial careers. Our hats off to all of you. While our selection criteria was by no means perfect, we did consider things like the quality of the writing, the uniqueness of the product, whether the person was applying based on need or because they forgot to buy tickets in advance 🙂 and whether they met the submission deadline. We only had 10 tickets to giveaway unfortunately so Raymond Luk and I had to make some tough choices. The good news for anyone who wasn’t selected is that there have never been more entrepreneurial events happening across Canada. We hope to meet all of the companies at one of these events at some point in the future. Congratulations everyone. We’ll see you all at the conference in a few days. I would like to thank Raymond Luk & Flow Ventures for helping me organize and sponsor this contest. 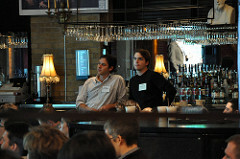 Flow Ventures is active in the Canadian Startup scene and participating in the Canadian angel investing community. Both my companies Akoha and Standout Jobs do work with Raymond and his firm. They are great partners for startups. We also want to thank Angelsoft for the contribution of a number of OpenDeal coupons to allow companies to submit their fundraising needs to their network of angel investors. We will be announcing the winners of the AngelSoft packages at the conference. I’m now using Angelsoft at three of the venture funds/angel networks I’m a member of. They have over 400 angel & VC funds using the software with almost 14,000 investors. This is a great resource for entrepreneurs looking to raise funding and we are thankfull for their support of this contest. 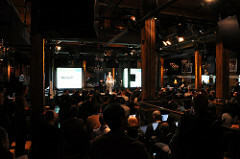 StartupEmpire: Thanks, that was fun.